A project to enhance the internet connections across Plymouth University’s campus has earned recognition from judges at a national awards ceremony. The major upgrade, part of a programme of investment in state-of-the-art technology, included an overhaul of the wired and wireless networks in more than 1,700 student rooms and other communal areas. The project has now been named runner-up in the Best Use of Cloud category in the Real IT Awards, which aim to recognise outstanding IT innovation across the private and public sector. 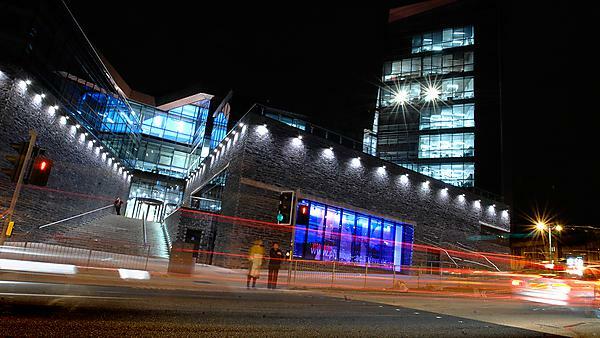 Plymouth was the only educational institution on the awards shortlist, with other nominees including multi-national giants such as Volkswagen, E.ON, GlaxoSmithKline and Pepsi, as well as Government departments and public sector bodies. The four-week upgrade was carried out by leading technology service company CAE, and involved providing a 600Mbit Wireless N service and a 100Mbit wired service, giving students full access to the University’s suite of online resources on all their desktop, laptop, tablet or mobile devices. It enables families and friends to access the internet anywhere on campus during visits. The upgraded service also includes a commitment to enhancing student employability by recruiting ambassadors for the service, who will become the first point of contact and providing out of hours help if required.